Please note the addendum to this hack at the bottom of the post. With the latest Twitter for iPhone update, I lost the ability to Pocket. For me, this change is a major disruption to my workflow. I scan Twitter throughout the day for headlines and links of interest, and when I happen upon something that I don’t have time to read, I send it to Pocket, a handy read-it-later app like Instapaper. 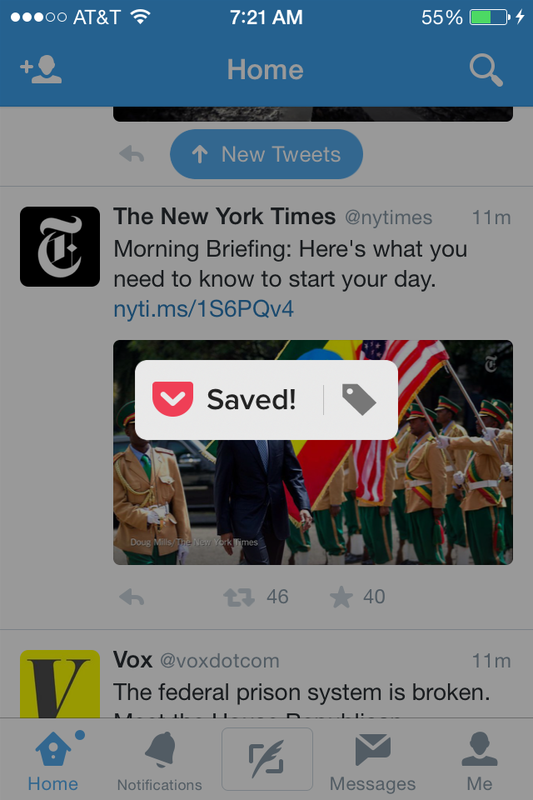 It used to be easy: Hold your thumb on the tweet to get a contextual menu, choose “Save to Pocket,” and boom, it’s saved. But all is not lost. Click on that “Share via…” link. You’ll get a new menu. Hmmmm. No Pocket option. Fret not. 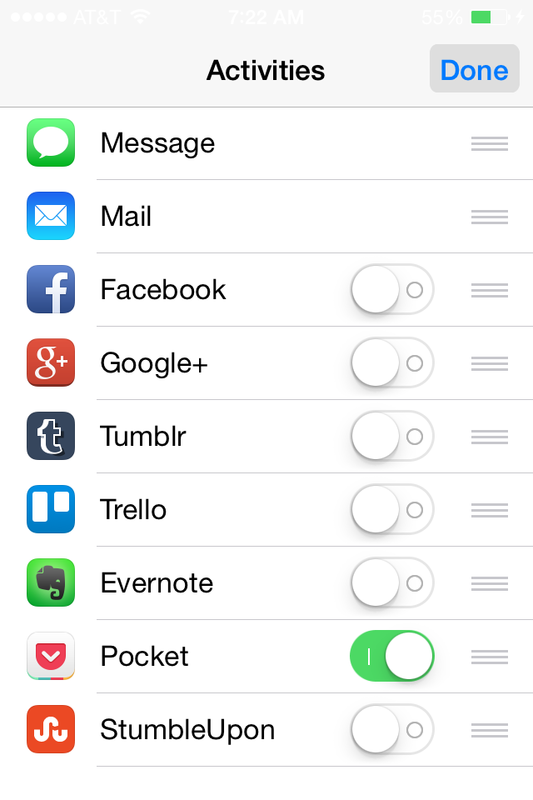 Click on the “More” option in the top row, and you’ll get a list of apps (or “activities”) you can add. Trello and Evernote are also available here, which is nice. Choose Pocket. 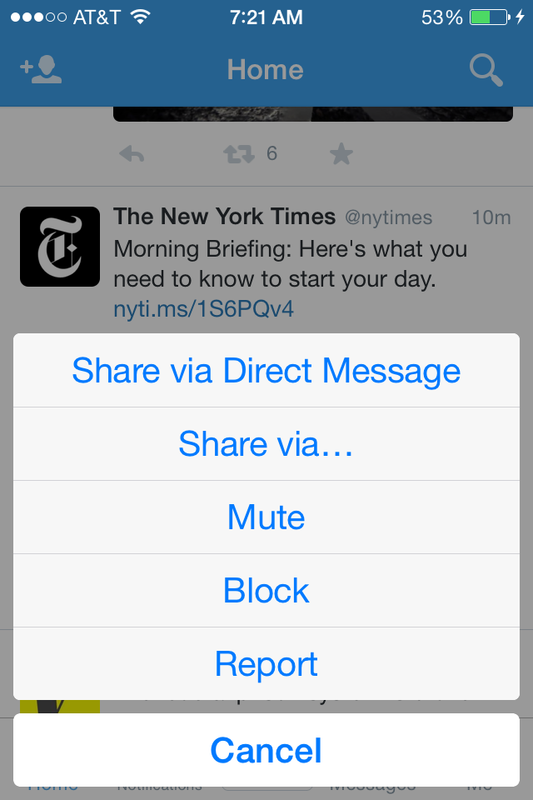 Now, the next time you choose “Share via…,” you’ll have the option available. Update: There’s a slight problem with this solution. It saves the URL to the tweet, not the actual article. 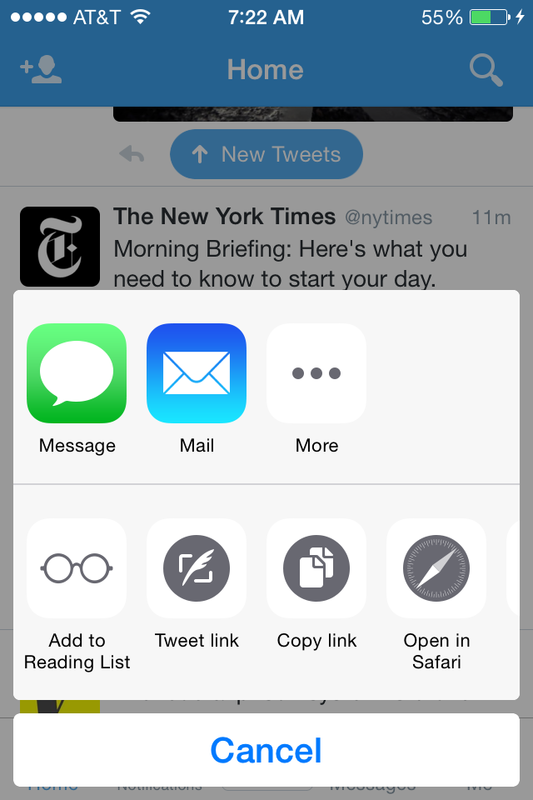 If you want the article itself, you have to click on the tweet and then save it to Pocket.